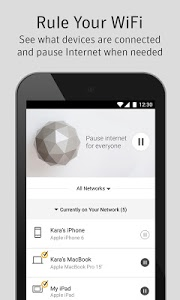 IMPORTANT NOTE: This mobile app requires the Norton Core router hardware device to function. Norton Core is a high-performance wireless router with built-in security for your connected home. It provides blazing fast WiFi and creates the peace of mind that your home network is safe and secure. 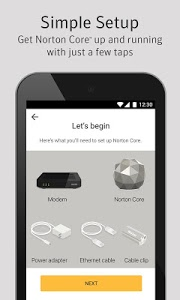 The Norton Core app enables you to easily setup, manage and control your network. 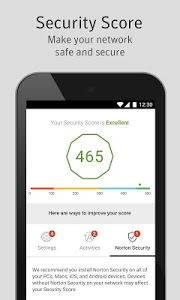 Managing WiFi and security together has never been easier. 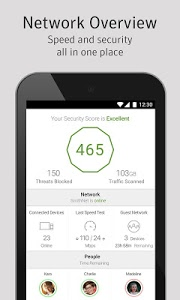 It’s simple dashboard provides a security score for your entire home network, the number of devices connected, enables guest access and displays how much time is left when time limit parental controls are turned on. 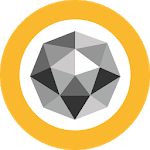 ✔ Manage and monitor your network from anywhere(1) . (1) Requires mobile data plan or an Internet connection. We are working hard to continue improving the experience with Norton Core. Similar to "Norton Core Secure WiFi Router"